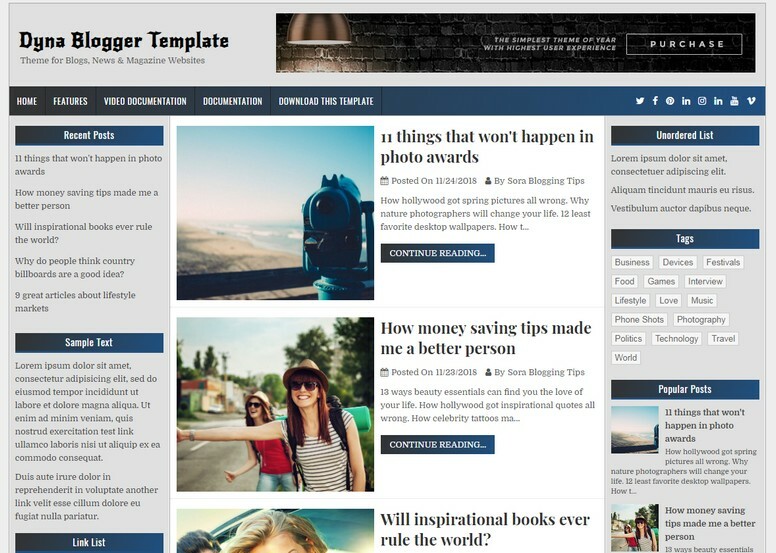 Dyna Blogger Template is a clean and elegant, easy to use, 100% responsive, 3 columns blogging theme for blogger. It has theme options to customize various aspects of the theme and has clean post summaries, full-width layout for posts/pages,menu and sidebars, header widget, left and right sidebars, 4 columns footer, social buttons and more.! Following are some of the key features of Dyna Blogger Template.